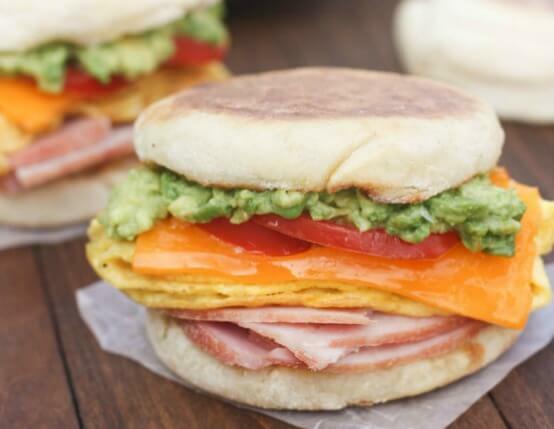 Packed with fresh avocado and tomato, cheddar cheese, naturally smoked ham and eggs, it doesn’t get more satisfying than this stunning breakfast sandwich. Add eggs to bowl with water and whisk really well, until smooth. Heat small skillet, greased with non-stick cooking spray, over medium heat. Pour 1/4 of eggs into pan. Season top with salt, pepper and crushed red pepper, to taste. Cook for 1-2 minutes and then gently flip to other side. Cook an additional 1-2 minutes. Fold it in half and then in half again (to form a triangle). Set aside and keep warm. Repeat 3 times with remaining eggs. Toast english muffins and spread a thin layer of butter on each side. Place one egg triangle on bottom of each english muffin. Top egg with cheese, 1-2 ham slices, a thin slice of tomato and a big spoonful of mashed avocado. Top with top half of english muffin. Serve immediately. Leave out avocado and tomato. 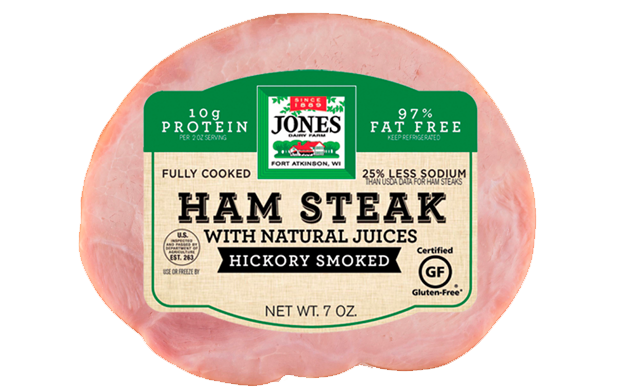 Layer rest of sandwich as stated and place in individual freezer bags. Freeze for up to 6 weeks. When ready to eat, remove from freezer and line microwave-safe plate with paper towel. Place sandwich on top and microwave about 1 minute, until heated through. Add tomato and avocado, if desired, and serve warm.